Venezuela is famous for its beauty—and not only that of its beauty queens. This South American country also possesses a stunning landscape of Amazonian rain forests, rolling plains, flat-topped mountains and Andean peaks. The country faces sparkling blue green seas, and has the world’s highest waterfall and the continent’s largest lake. Its closeness to the Equator allows for two distinct seasons, wet and dry, with higher-level areas enjoying a cooler climate. Venezuela has the longest stretch of Caribbean coastline found in one country. The beaches jump and jive to lively Caribbean beats, but deeper into its heart, the country is truly South American and displays an immense wealth of natural wonders and vestiges of cultural inheritances. The name “Venezuela” was given to the region by the Spanish conquistadors. Upon seeing the indigenous tribes dwelling in communities of stilt-supported huts along the shore of the Maracaibo Lake, they mockingly bequeathed it the name Pequeña Venecia—“Little Venice”, which later became Venezuela. Settled by numerous, culturally diverse tribes, Venezuela was discovered for the West by Columbus in 1498. Nowadays Venezuelans are a mix of ethnicities, mostly of European descent—German, Portuguese, Italian and Spanish—with some Amerindian blood. Asian and Middle Eastern immigrants have also joined in. Many indigenous tribes still survive in scattered communities. Venezuela has had a tumultuous past and an uncertain present—from the years of Spanish colonization, the Venezuelan War for Independence, various juntas, dictatorships, and military rule to Hugo Chávez’s controversial presidency. As a Third World nation, Venezuela’s problems include high crime rates, poverty, social inequality, political divisions, economic crisis, and threats from Communist guerrillas. Nevertheless, Venezuela has the potential to achieve great sustainable development in the economic realm. The country is one of the world’s top oil producers, which accounts for the affluence of many locals. 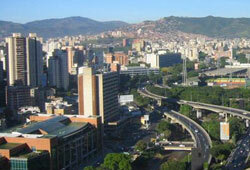 The capital city, Caracas, is a modern metropolis at the foot of the Ávila range. It is a glass-and-concrete jumble of skyscrapers and low-rise buildings and not without American influence on its culture. The city is loud, cramped and, in some areas, considered dangerous even during the daytime. There is a huge disparity in wealth among its 4 million residents. 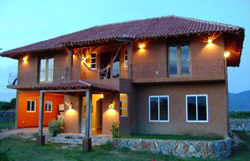 Nonetheless, the Caraqueños are known for their hospitality and good nature. Life is celebrated through festivals, shopping, all-night partying, and food. Caracas is considered Latin America’s gastronomic capital.